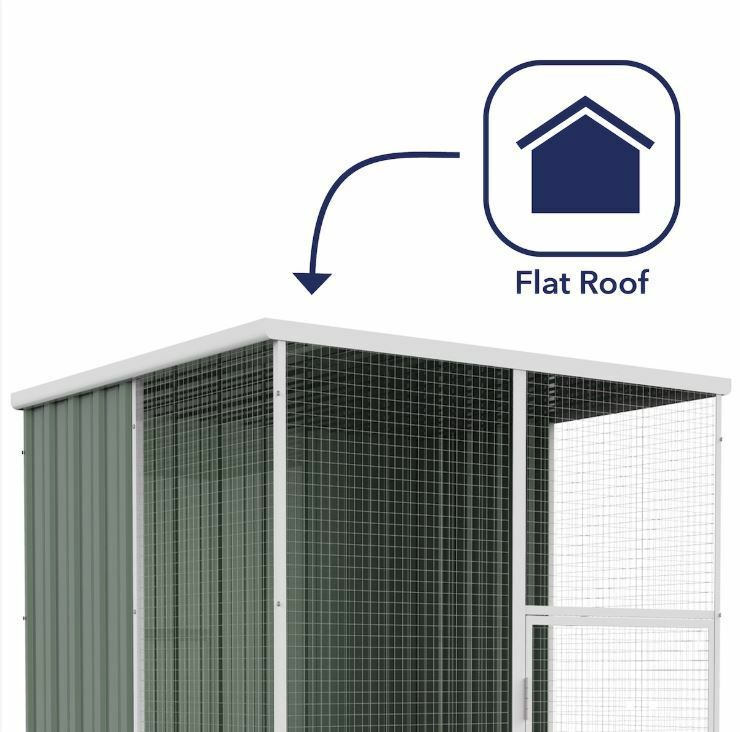 This aviary gives your winged pets a little more room without being bulky in your yard. 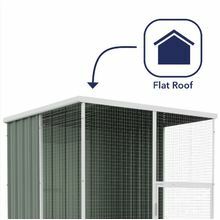 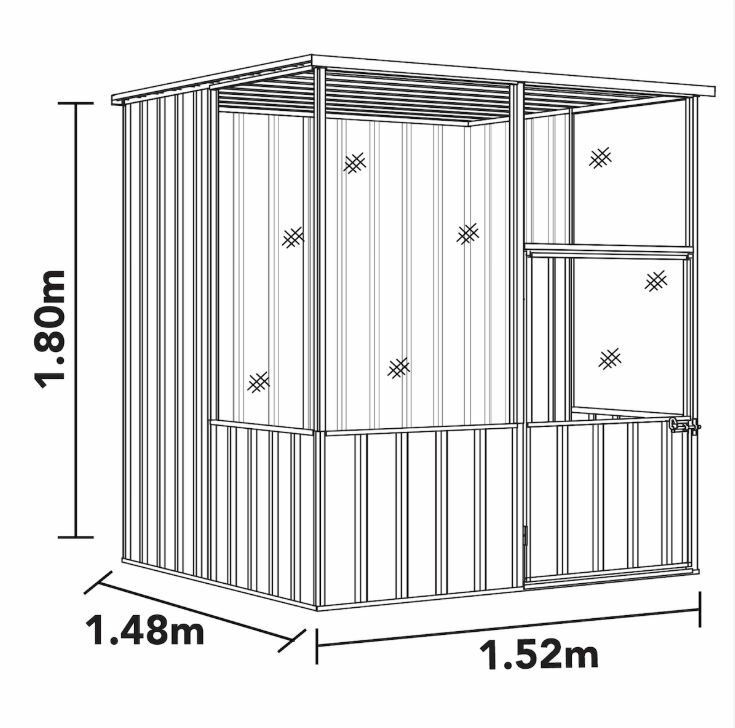 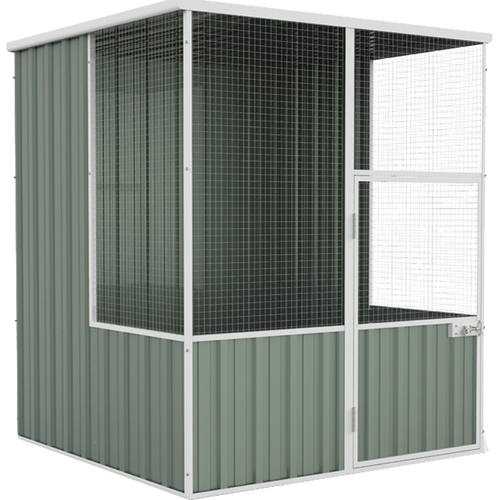 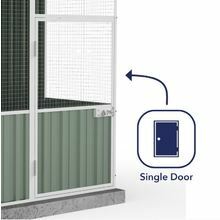 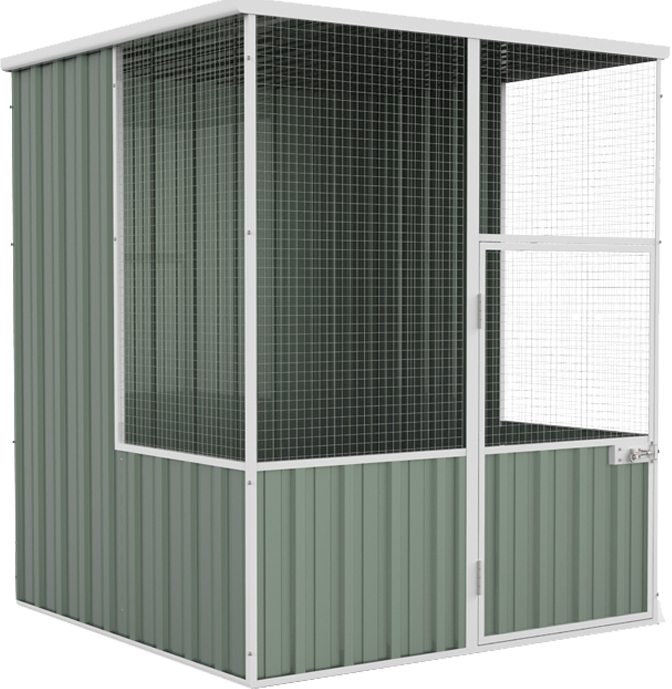 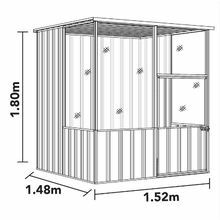 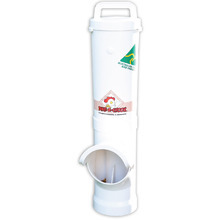 Keep you feathered friends safe and comfy in this aviary that’s compact enough to fit in a corner. 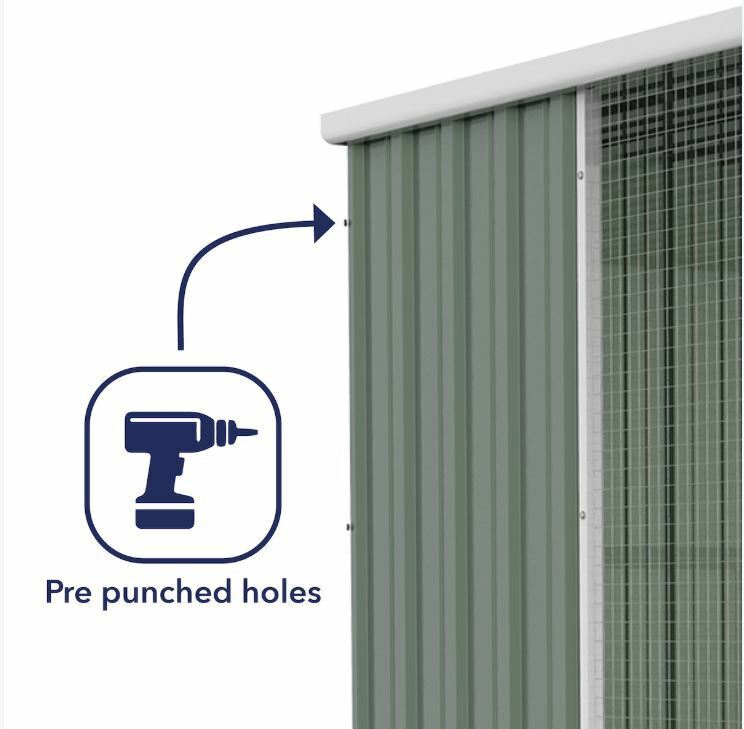 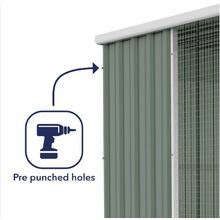 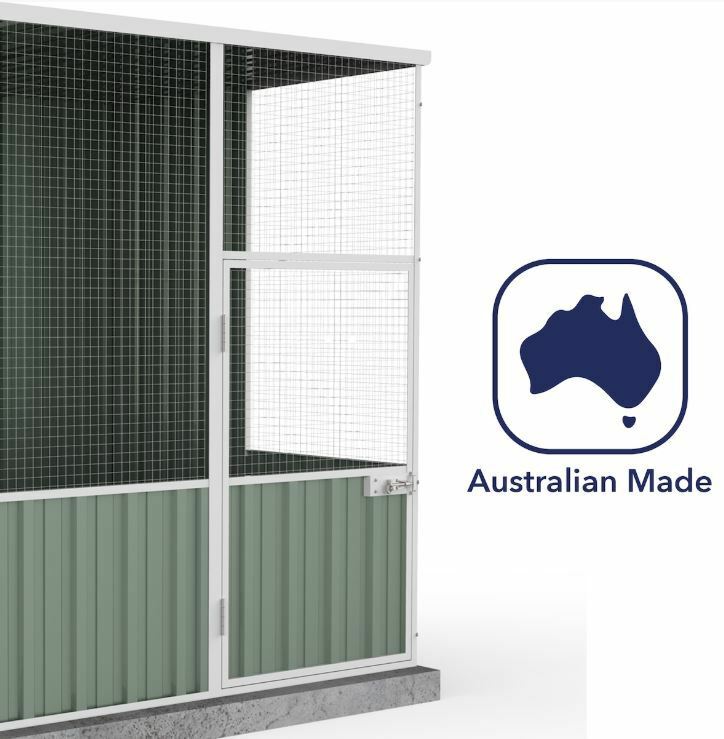 It’s made of Bluescope Colorbond materials – resistant to corrosion, chipping or colour-fading. 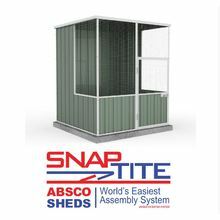 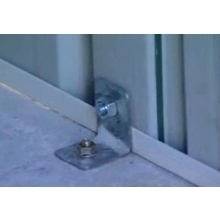 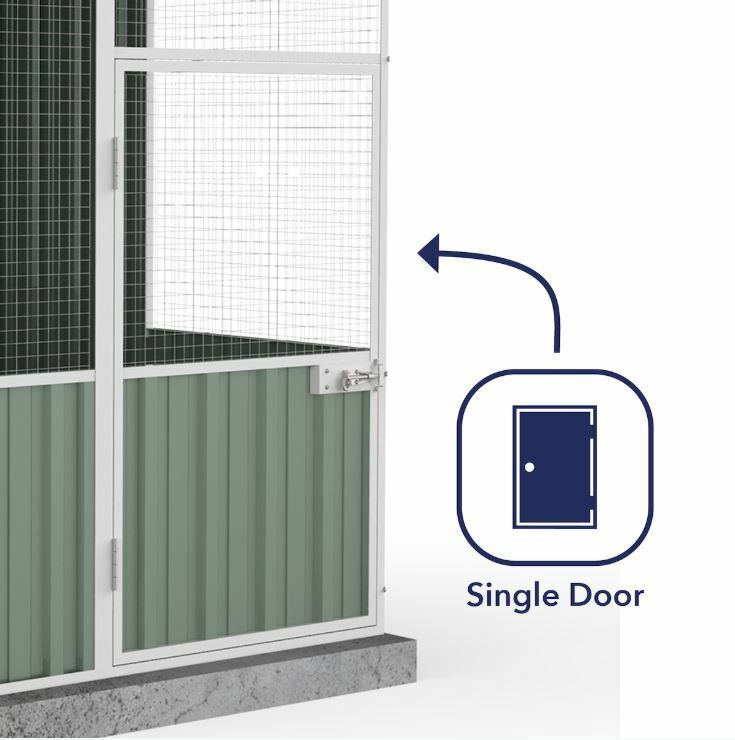 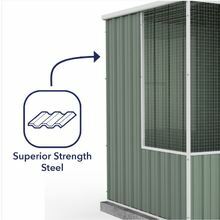 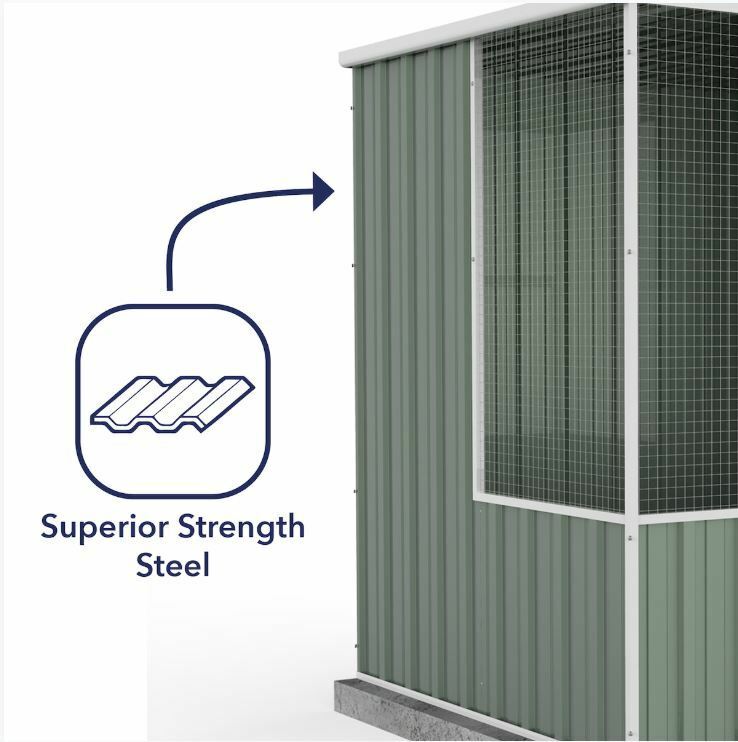 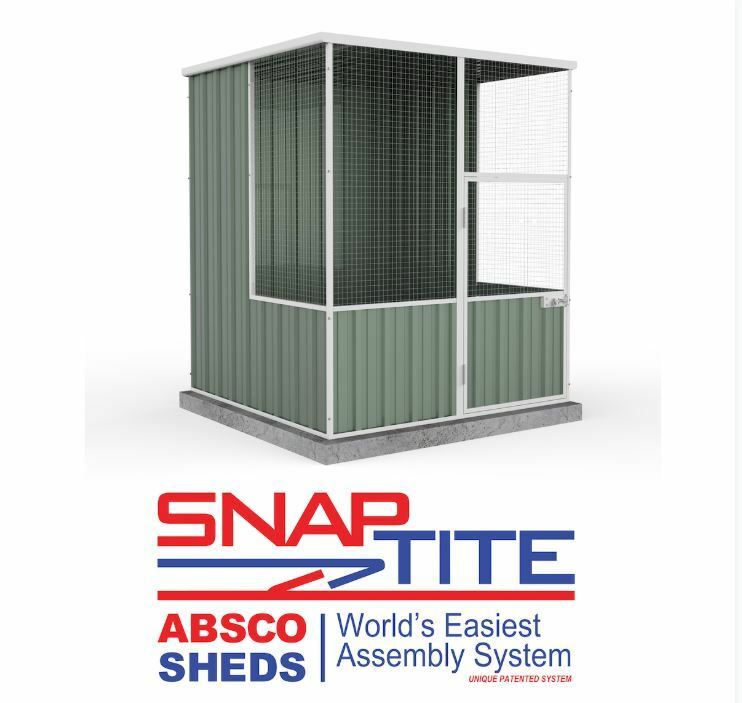 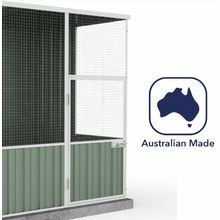 This all-steel construction definitely make a hygienic, low-maintenance shelter for your pets.